With 8.2 million unique visitors viewing over 600 million pages per month, photo-sharing, meme-making 4chan.org is an extremely popular Web site. But it’s not worth much — just a little less than a Lexus GS10. In an interview the New York Times published this afternoon, 4chan founder Christopher “Moot” Poole says he would sell the site, but he hasn’t gotten any good offers. 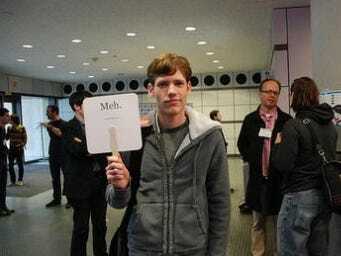 Moot told the NYT that 4chan doesn’t even make much money. The reason 4chan can’t make any money, of course, is that it is the dark, disgusting underbelly of the Internet. For every LOLcat, there’s a dead cat. For every photo of a cute girl in punky clothes, there’s seven of people with no clothes. It’s content no advertiser would ever put its brand near.